Vaseline is one of those multi-tasking products that you'd want to be stupid not to own. For as long as I can remember and much longer before that too I'm sure, my mother and grandmothers always had a pot of Vaseline on hand. There are many duplications and alternatives available, but nothing has come close to the real deal. Is there honestly a person who has never heard of or used Vaseline- I highly doubt it. 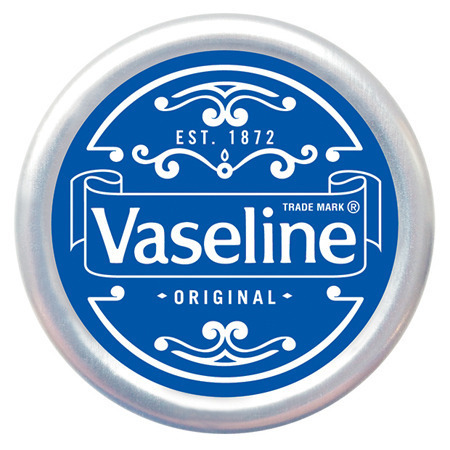 The only ingredient in Vaseline is petroleum jelly which, although derived from oil, is refined to the purest form possible by the folks chez Vaseline. It's hard to believe that such a simplistic, inexpensive product has become such a cult beauty buy for so many. I've made a little list of things that I have used Vaseline for, and things that I know others have used Vaseline for just to highlight what a multipurpose product it is! Stay tuned to the end of my list, because there's a little giveaway planned and I'm giving away a full set of the limited edition Vaseline tins to one lucky reader. 1. Apply on your elbows, knuckles and sides of your hands when applying false tan to avoid getting a colour buildup in those areas. Vaseline helps to soften the skin. 2. Even had a ring that was stuck firmly on your finger? A little bit of Vaseline should lubricate and grease things up nicely and allow you to slip that ring off without damaging the jewellery or the metal. 3. Some, my granny included, say that applying Vaseline to your eyelashes at night will help them grow longer as you sleep. I‘ve never tested this theory. Presumably, the same would apply to smearing it all over your eyebrows at nighttime to help them grow quicker. If you were a bit pluck happy over the last few years, now might be the time to test this out! 4. Put a little Vaseline on your wrists before spraying perfume. A lady working on a perfume counter in Boots told me this many moons ago and it actually does work- the scent will last much longer! 5. Apply a generous layer on your feet before bed, put on some cotton socks and wake up with baby soft feet the next morning. 6. I have heard that runway and commercial models apply some Vaseline to their teeth (!) 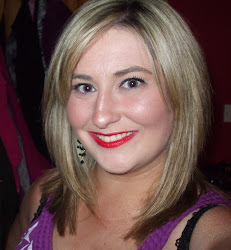 to prevent likelihood of being snapped with lipstick on their teeth- the indignity. All in the pursuit of beauty! 7. Buff up and shine leather bags and shoes if they are looking a bit scuffed. 8. Have a nail polish with a really stubborn lid/brush that won’t screw off. 9. Massage into cuticles to give them a little bit of TLC and nourishment. It will also help your brittle nails. 10. Apply to your eyebrows in the place of eye gel if you are stuck and comb through with a spoolie- should keep everything in place (unless you have ghastly wild brows!). 11. I’ve been dying my mother’s hair at home for as long as I can remember, and she only ever opts for a boring dark brown dye. To prevent staining her forehead, I always apply a little Vaseline around her hairline and it works a treat. I also apply some to her ears because I’m messy and dark brown dye is hard to remove. 12. Have an awkward makeup drawer that won't open out fully? Try putting a thin layer of Vaseline on it and it should glide open more easily- that's a tip from my uncle Michael (a carpenter!). 13. If you are prone to chapped lips, try applying a little Vaseline on your lips before facing the elements- it will prevent the forces of nature from chapping your lips by acting as a barrier. Vaseline does not add moisture to the skin but it does act as a barrier to stop any moisture you have in your skin from evaporating. 14. Don’t use Vaseline on fresh burns (because of the barrier action, Vaseline would actually trap the heat and delay the healing process) but do feel free to apply Vaseline to older burns to help heal the wound. 15. Don’t you just hate it when the neck of your nail polish bottles gets so clogged from dried up nail polish that you find it difficult to unscrew the brush applicator? Well just apply a little Vaseline to the rim around the neck and it should help you greatly! 16. Have a cold and can’t stop blowing your nose? Apply some Vaseline to your nose and blow away to your heart's contentment without worrying about chaffing. 17. Apply a very small amount to the ends of your hair to conceal split ends if you are stuck without a serum. 18. Apply a little to your eyebrow area if you are plucking a few stray hairs- particularly in the sensitive outer eyebrow area- and softens the area making the hairs slide out more easily. 19. Similarly, a little bit of Vaseline can smooth and tame the wildest of eyebrows. 20. To get lipstick stains out of clothes, smear with Vaseline, throw into your washing machine, and hopefully stain will be gone! If you've gotten to the end of this post and you're thinking about how wonderful Vaseline is and how you need to get some straight away, I have great news for you! I have a set of four Vaseline vintage tins to give away to one lucky reader. 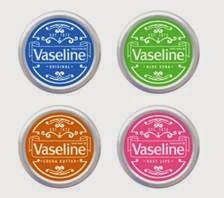 All you have to do is make sure you're subscribed to this blog on Bloglovin' or Google Friend Connect (links ----->>) and leave a comment below telling me what your favourite use for Vaseline is! It can be anything- whether it's mentioned on this list or not. I will pick the winner in two weeks time at 9pm on 29th and I will be contacting you by email so make sure to leave your email address in the comment below too! ttiiffyy[at]love.com Thanks for the giveaway! !